I love daisies. They are the happiest flower I have ever seen and when I see them they make me smile. After 17 years of marriage I have gotten quite a few bouquets from my sweet husband. Each time he brings me a bunch of these lovely flowers I can’t help but love that flower even more. 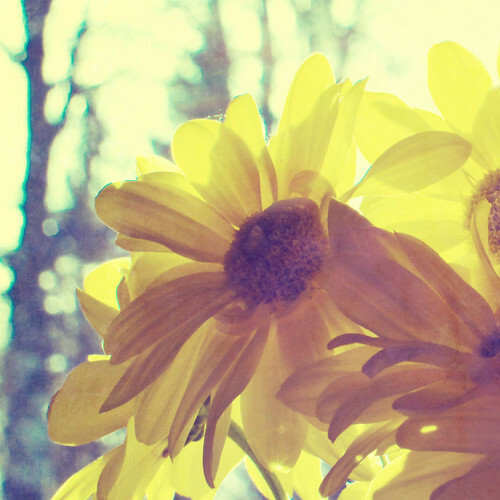 He brings each bouquet with a little story of how he looked for a different color or a different kind of daisy–then he tells the story of how he finally settled on the daisies that he hands me. I love him and the daisies he brings. 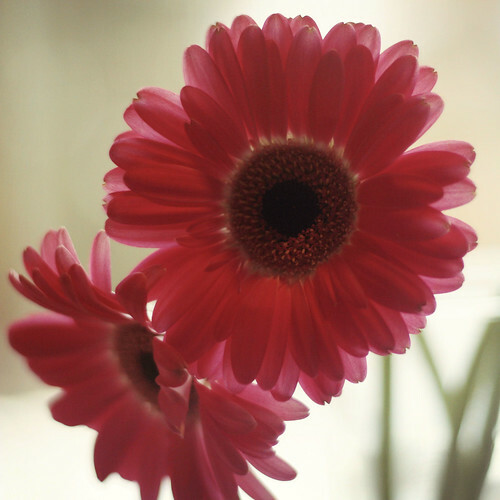 Processing: I shot this in a window so that the light would shine through the petals. I processed this in Photoshop using a Paul Grand texture. I took the opacity back to about 30%. Oh, I love all three photos. The white, pink and yellow are so cheery! Beautiful Photo in this blog!!! what a sweet man you have. 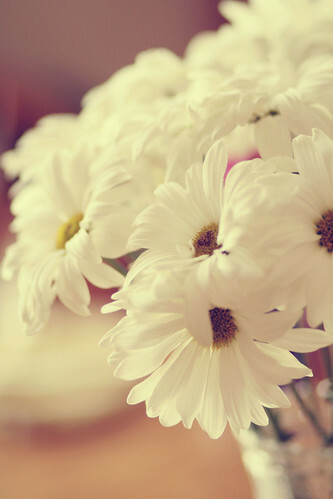 a plain white daisy is my favorite. I have always much preferred the simple flower over the roses and orchids. Daisies are my favorite here too, rather Black-Eyed-Susans to be exact. Beautiful photos! These shots are just beautiful! I especially like the yellow ones. Bright and cheery! Lovely photos! Happy Love Thursday! Daisies are my favorite, too! Happy Love Thursday!